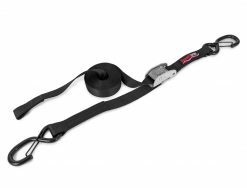 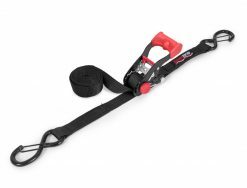 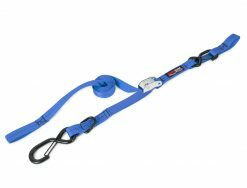 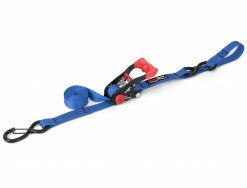 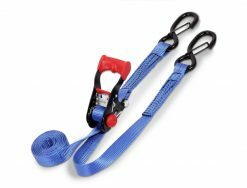 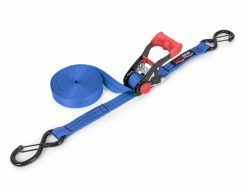 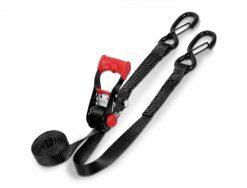 In addition to the strong cushion grip ratchet and “S” hooks with integrated retention clip, these ratcheting tie-downs feature a sewn-in soft-tie for easy safe attachment. 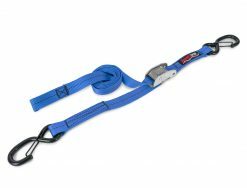 Includes a floating D-ring on the opposite end to create an additional loop if needed. 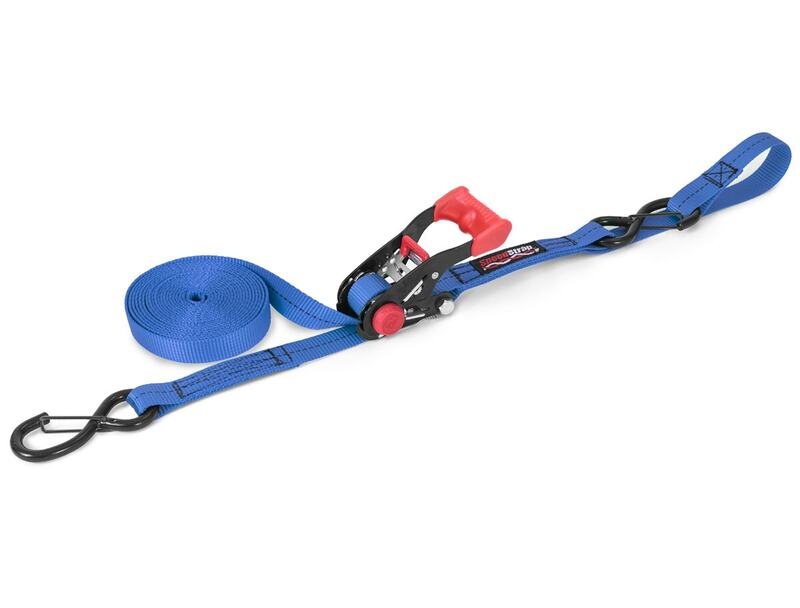 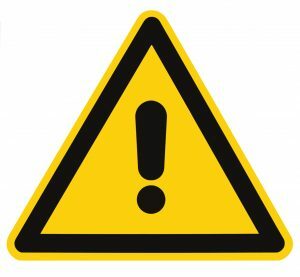 Available in lengths of 6 or 10 feet in black, blue, or red.